1. Falls Prevention. With more than two million falls a year, the need to reduce falls through prevention and awareness continues to grow. Home health experts examine all areas of the home to determine if a patient may be at risk. Can the throw rug in the hall cause a trip or would a support bar in the shower provide stability and balance? Inspecting the home allows care staff to determine if it is a safe environment for optimal recovery. 2. Communication with Doctors. Home health professionals act as a direct link between patients and their physicians. If a patient is experiencing abnormal pains, dizziness after taking a medication, continuous high blood pressure, home care experts act as a liaison and an advocate. If patients are experiencing irregular symptoms, their health and safety is top of mind for their care team. Communicating on behalf of patients to their physicians on a frequent basis can prevent possible injury, illness or hospitalization. 3. Nursing Care. Patients recovering in their homes require frequent monitoring of potential signs and symptoms. Nurses, therapists and home health aides provide daily skilled and non-skilled care to constantly monitor changes in the patient’s health that need to be addressed with their physician. Skilled care including wound care, chronic disease management, and mental health services help patients regain independence and teach them how to safely manage a condition. 4. Medication Management. Nearly 70% of Americans are on at least one prescription drug and more than half take two. Managing patient’s medications and their consumption are vital to their health and safety. Each home care patient receives a medication reconciliation to determine if any prescriptions need to be renewed, disposed or discontinued. 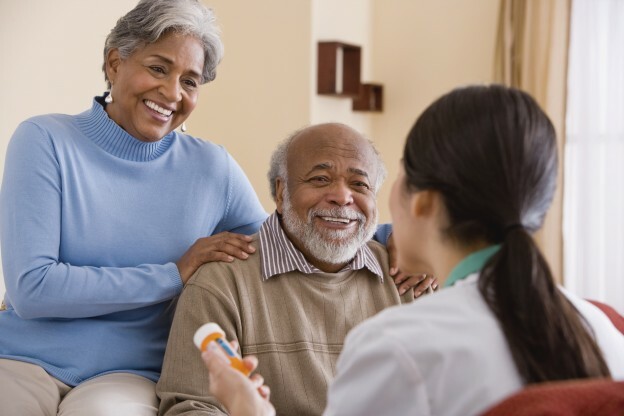 Home health professionals teach patients and families about the potential side-effects of medications or over-dose and help them be aware if changes occur. VNA home health staff are dedicated to keeping patients safe in their home and assisting in their effort to regain optimal health and independence. VNA of Ohio offers the widest array of home care services in the state including skilled nursing care, rehabilitation therapy services, hospice care, and private-duty personal care. If you or your loved one would benefit from one of these services, call VNA of Ohio today to discuss services and to schedule an in-home assessment. Learn more about VNA of Ohio home healthcare services or call us today at 1-877-698-6264.